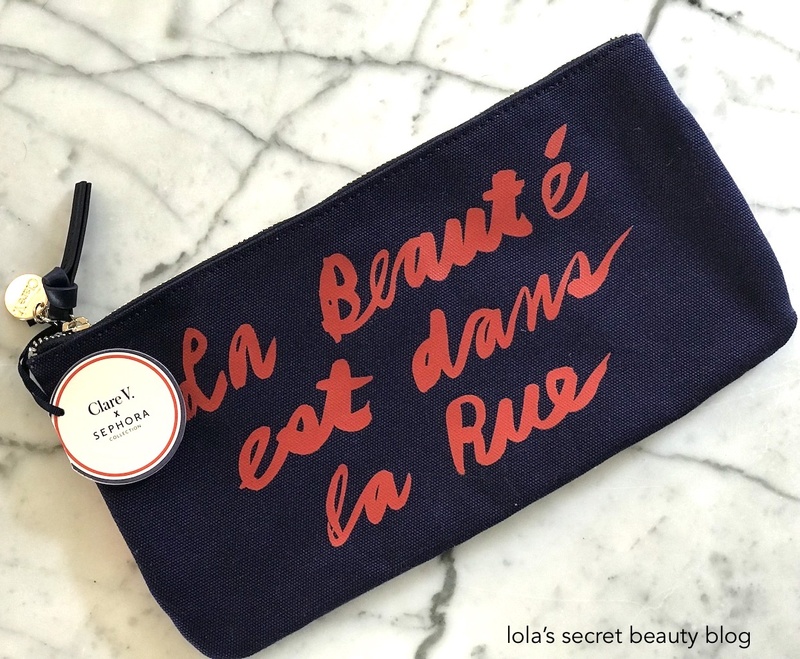 I did a fair amount of damage during the recent, and ongoing, Sephora Sale, and I am so happy that I purchased the Clare V. for Sephora Collection: Agnes Clutch! 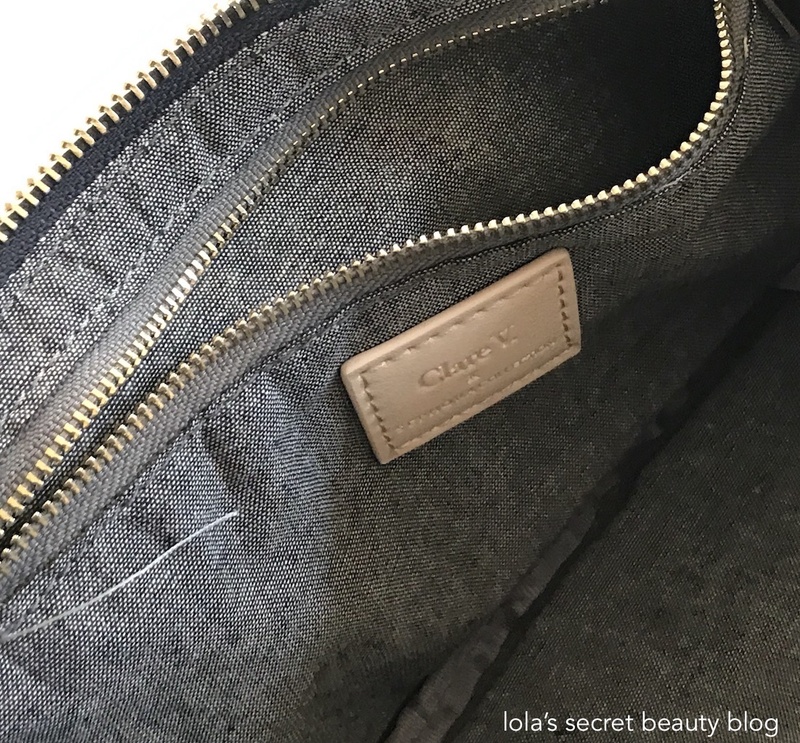 Clare Vivier, who is a local Los Angeles artisan, makes the most beautiful handbags, clutches (for which she is incredibly famous), wallets, apparel and sunglasses. I have long admired her beautiful creations, and couldn't believe that I was able to pick up this incredible bag for a mere $15.00. 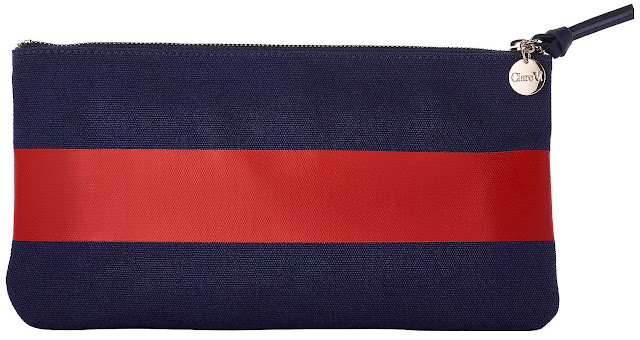 This beautiful canvas clutch is very spacious, at 11.75" x 6.5", and it even includes an interior zip compartment. It is large enough to carry plenty of makeup and full-size makeup brushes, but given that it is 11.75" wide it will be too big for smaller handbags, but is very well suited to larger totes and travel bags. The zippers are smooth and don't skip or catch in the least bit. La Beauté est dans la Rue (beauty is in the street), which comes from French poster art in May 1968, refers to a student uprising in Paris at that time. A trendy Clare V. canvas clutch that can holds your beauty essentials. 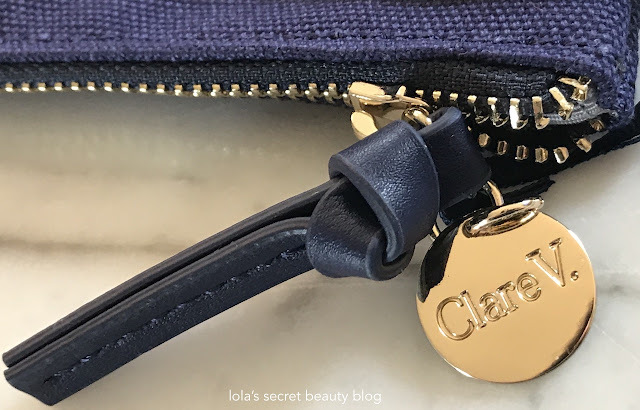 Proudly made in the US, this trendy clutch embodies the elegantly simple signature Clare V. style, it can be thrown into any bag or taken out on its own. 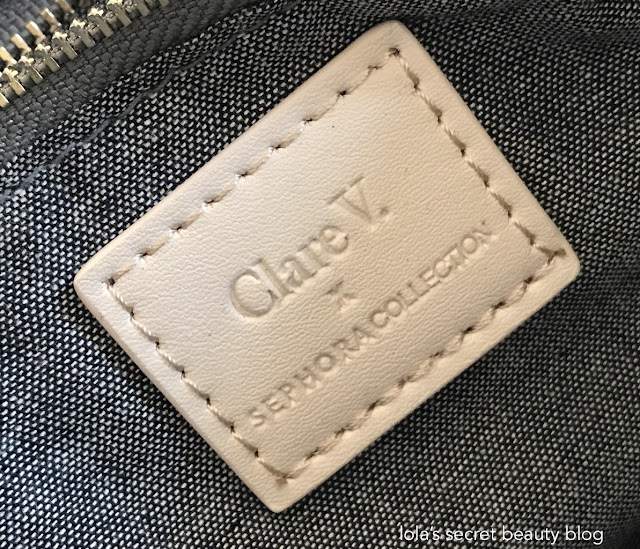 Founded in L.A., where the product has been made exclusively since 2008, Clare V. is a handbag and accessories brand that offers an irresistible mix of Parisian influence, California cool, and everyday functionality with each new collection. 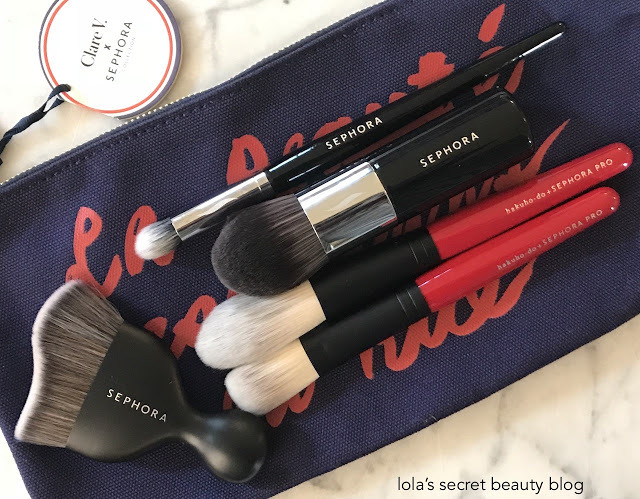 SEPHORA COLLECTION has teamed up with Clare V. to create a limited edition collection of irresistible makeup bags that embodies the classic, yet playful aesthetic of Clare V. and the individuality of SEPHORA COLLECTION. This product is not tested on animals. Note how many brushes I stacked on top of the Agnes Clutch, and it will accommodate even more inside! Overall Assessment: This was a spectacular bargain, and I may purchase a couple of more to give as gifts! Sale Price $15.00 (Regularly $28.00) from Sephora (Affiliate Links). I really enjoyed this post! I wasn't familiar with Clare V. and her bags, and now I am! I love the reference to May '68 on the bag that you chose, and the size is spectacular. I will check this out! I am just so happy that you enjoyed this post, Allison! I had to have this bag the moment that I saw it, and that is saying something because I have SO MANY makeup bags, but this one was a must-have for me. 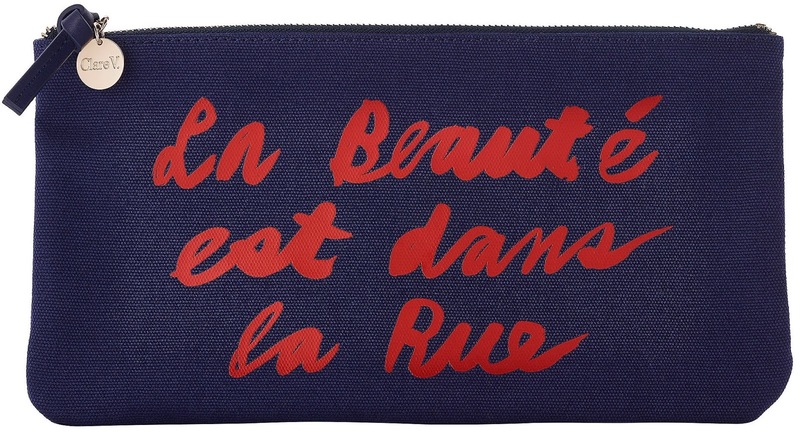 I love Clare Vivier's creations, and like you– I love the May '68 reference! You are quite right, the size is spectacular! It is definitely worth having, in my opinion. You've convinced me that I need one for myself and several for gifts too!! So pretty! I certainly understand why you feel that way, Stacie. I had to have it when I saw it on the Sephora website! It is pretty, and it does make a great gift! That is such a cute clutch. I'd carry it as a casual little handbag for running errands. It really is a cute clutch, Erika! I am so glad that I bought it! It would be great for running errands. Plus there is plenty of room for your phone, keys, some makeup and credit cards! 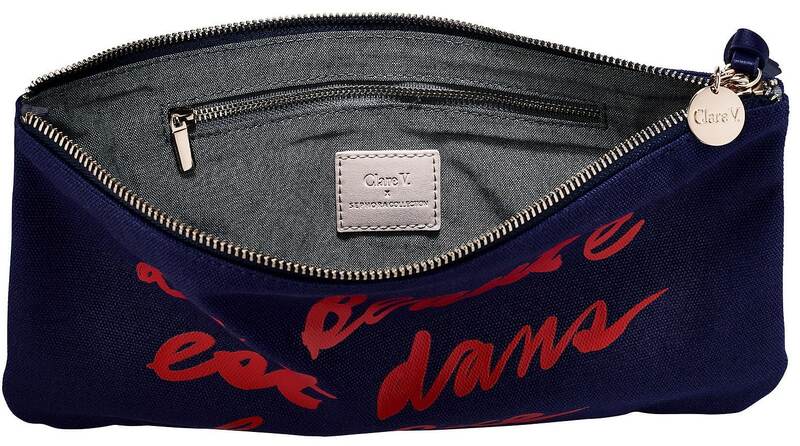 Great looking cosmetic bag. Since I get the IPSY subscription I don't look at bags to buy but I can't help but admire them. I just made a pile of 11 Ipsy bags to give to charity on the next pick up and another 8 to send to Project Share. 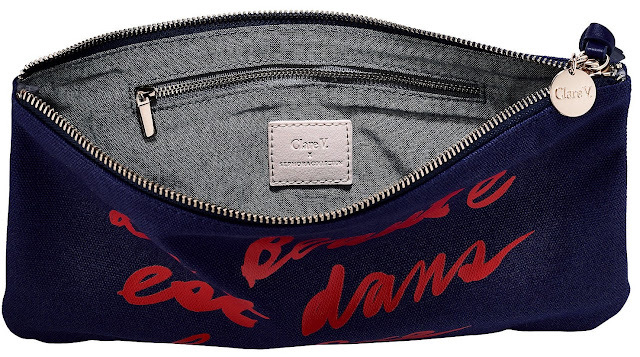 It really is a great looking cosmetic bag! Like you, I have far too many bags, and definitely did not need this one, but I just couldn't resist it! I completely agree with you, Cindy!